Abbie writes: ‘I have just returned from what was an incredible trip to Kenya. This was my first time on safari and it exceeded every expectation I had! I was kindly hosted by Safari Consultants, and I got to experience different conservancies along with the Masai Mara Reserve. Our trip started with a direct flight on Kenya Airways to Nairobi Jomo Airport, we landed around 5am and transferred to a hotel where we could have breakfast and relax before our onward flight from Nairobi’s domestic airport Wilson. Our flight from Wilson to Lewa Downs was to be on the smallest plane I have ever seen! Our pilot Phillip gave a quick safety briefing before taking off and being in such a small aircraft meant the views were incredible. We arrived at Lewa Downs airstrip, we were met by our guide and within minutes we were seeing zebra, giraffe and elephant. Lewa Downs conservancy is located in the north of Kenya, the habitat is extremely diverse with open grassland, ravines and rocky gorges. 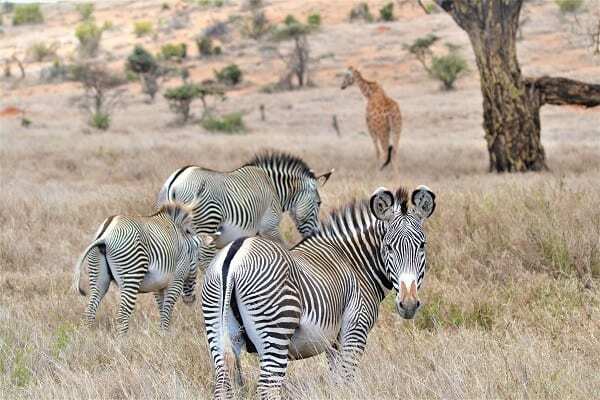 Lewa is particularly good for seeing white and black rhino, reticulated giraffe and the rare Grevy’s zebra. Our accommodation for the next two nights was Lewa House, which included a beautiful swimming pool boasting views of Mount Kenya and a small waterhole. That afternoon we had our first game drive, spotting elephant, zebra, giraffe, monkeys, gazelle, impala and much more. Our guide Alfred also heard of a leopard sighting. 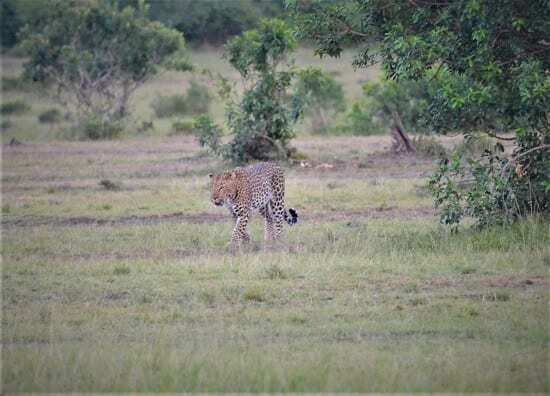 The elusive leopard was very difficult to find and we just caught a glimpse of her retreating into the thicket. As the sun set and night came, we head back to Lewa House where they had laid on a special bush dinner. We walked by torch light into the bush where a table had been beautifully laid and we dined by candle light. Being in the wilderness the nights are very dark, and as I walked back to my cottage I looked up and saw the most incredible stars I have ever seen. In the 60’s Kenya was home to an estimated 20,000 black rhinos, but just two decades later, poaching had reduced the population to less than 300. As a result of conservation efforts, the black rhino population is steadily recovering and there are now over 600 black rhinos in Kenya. The work to protect the rhino was the catalyst that led to Lewa’s founding. Since 1983, Lewa has provided a safe haven for rhinos. As the leading private rhino sanctuary in East Africa, Lewa’s rhino population has grown from an initial 15 rhinos to 169 rhinos today. After two nights at Lewa House it was time to head back to the airstrip for our next flight to Naboisho. The Naboisho Conservancy is part of the Masai Mara and lies to the eastern boundary of the reserve. The conservancies are the former Masai cattle-grazing districts, and have been converted into wildlife conservancies. The conservancies are a self-funded partnership between the camps / lodges and the local communities, ensuring an annual income for the land owners. 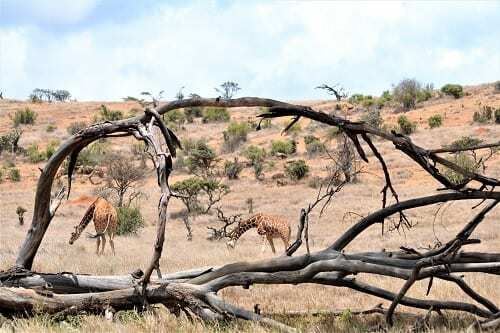 There are no fences and wildlife is free to roam between the reserve and conservancies. The conservancies are well managed with rangers patrolling and ensuring that tourism is happening in a controlled way. We transferred to our next accommodation Ol Seki Hemingway’s. The accommodation is made up of spacious tents and offers extensive views over the surrounding plains. Although we arrived in glorious sunshine, not long into our afternoon game drive we were hit with a full force storm. We battened down the side of the jeep and sat patiently waiting for the storm to pass. 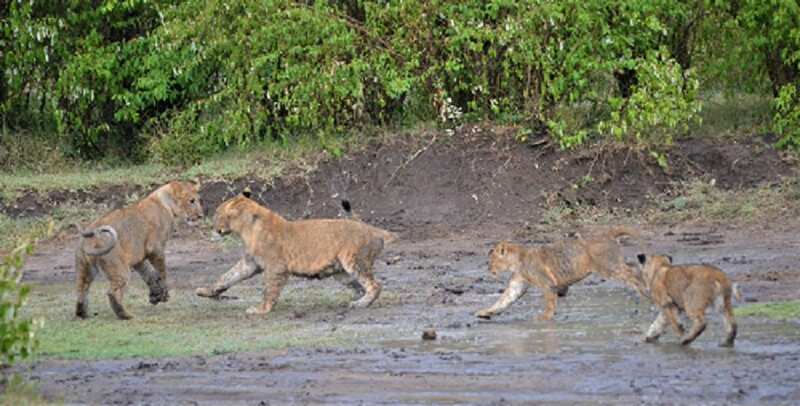 As it started to clear, we rolled up the sides of the jeep and stumbled across a pride of lionesses and cubs playing in the mud, it was a beautiful sight with mums teaching their young how to stalk whilst the really young ones playfully rolled in the mud. We continued on our drive where we saw hippos… well we smelt them first! It requires a huge amount of patience to photograph a hippo. I’m sure they know when you put your camera down and then decide to come to the surface and spray. As we sat and watched the hippos we could hear distant roars of a lion, so naturally our guide drove us across to investigate. He managed to locate the huge male lion and lioness who were in the middle of mating. 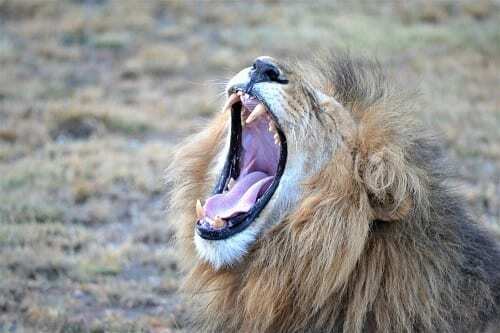 We sat and watched until the sun went down and as it got colder you could see the lion’s breath as he roared out. The sound is something I will never forget. The next morning’s game drive we watched a beautiful sunrise and a pack of hyenas devouring a baby wildebeest, that they had caught in the night. 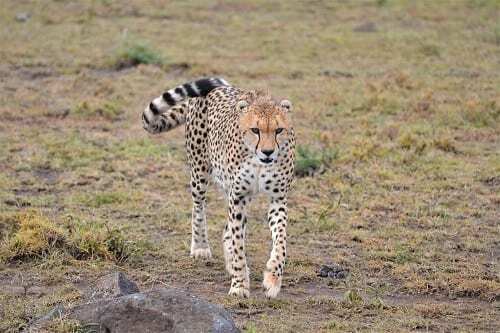 As we headed back to our camp our guide heard of a cheetah sighting, we managed to spot her stalking and trying to hunt. After breakfast we had a long drive into the reserve and to our next camp for the night. Driving between the different conservancies and into the reserve provided a great insight into how varied the landscape is. Rekero Tented Camp is set up in the heart of the reserve on the bank of the Talek River and the views from the decked area are wonderful. The next morning, we were able to watch two lionesses and a male feast on a water buffalo they had killed in the night. We then drove to a beautiful view point and our guide set up a bush breakfast. After breakfast we drove north to Mara North Conservancy and to Serian Original Camp, our home for the night. This intimate camp is made up of just 5 tents on the banks of the Mara River. It provides a real haven and much to my delight had no Wifi. 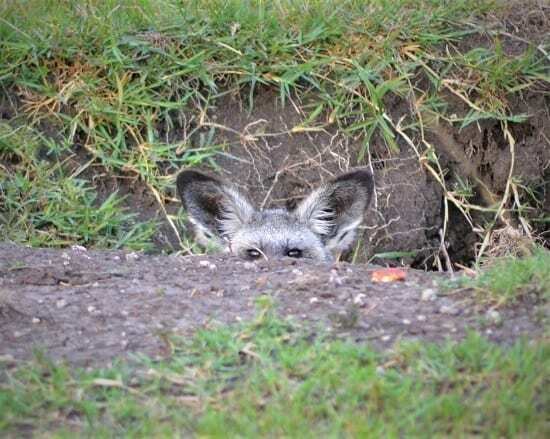 The afternoon drive provided exceptional game viewing, we saw a mother cheetah and her 3 older cubs plus a very shy bat-eared fox. The drive finished with a spectacular sunset and a rather handsome leopard parading in front of us. The next morning, we walked across the foot bridge to Serian Ngare and explored the escarpment on foot, a welcome change from the jeeps. We then carried on our journey to our final camp in the same conservancy – Kicheche Mara – which is set up in a secluded valley. 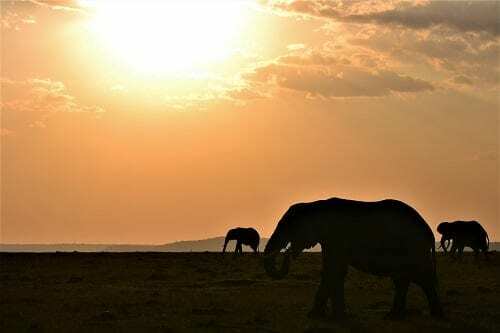 It was a sad moment as we realised these would be our last game drives. We were treated to another spectacular sunset and obligatory G&T sundowners! Our final morning game drive finished with a bush breakfast before transferring to Mara North airstrip and flying back to Nairobi Wilson Airport. Back in Nairobi we had one final treat, a visit to David Sheldrick Elephant Orphanage. We arrived just before the evening feed and got to see the babies running in for their milk. Each elephant has their own carer who sleeps in the elephant enclosure close by, just as their mothers would. Sadly, my time in Kenya had come to end and it was it time to go home. I flew from Nairobi via Amsterdam to Bristol with KLM, the flight was smooth and the transfer in Amsterdam worked well. It was a welcome change to land only an hour from home, rather than the usual long trip back from London.